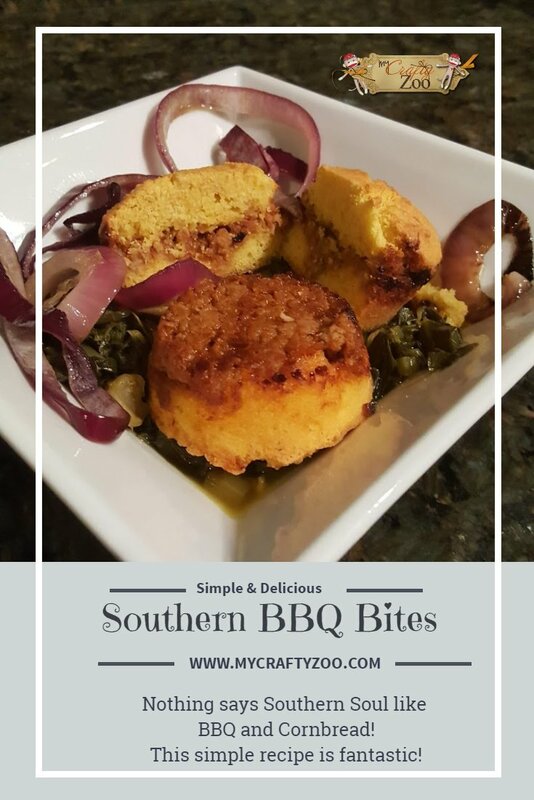 Southern BBQ Bites came from a genius recipe creation! So delicious, quick and easy! 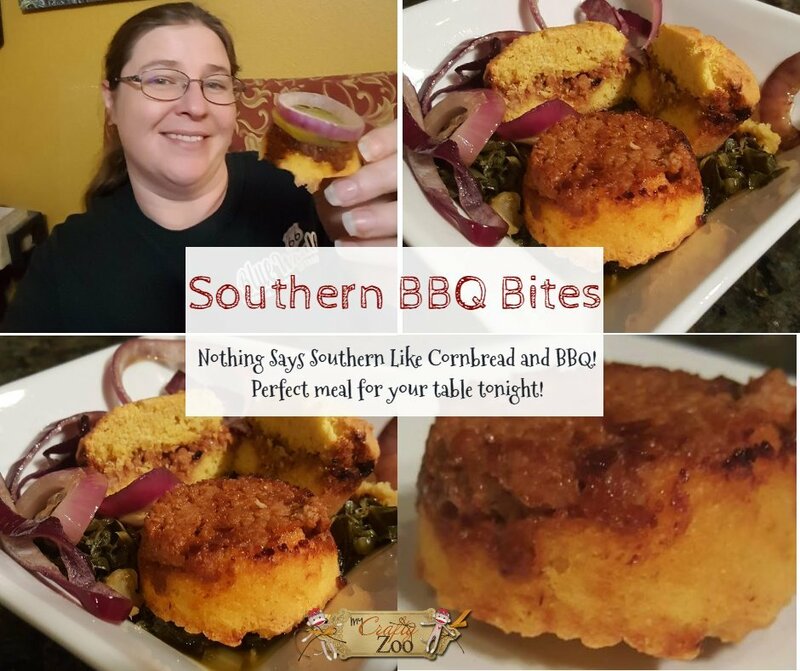 Nothing Says Southern like BBQ & Cornbread! Sometimes, I can’t stand cooking. We all have those moments right? I have this crazy anxiety where I have no idea what to cook, what will be great or what is a terrible idea. I almost always cook from recipes for that reason alone. Every now and then, though, I can calm myself and focus. Those times are where I’m completely inspired! I can remember my raisin’ (as we say in the South) and am able to come up with creations that are off the charts! This one nailed it! 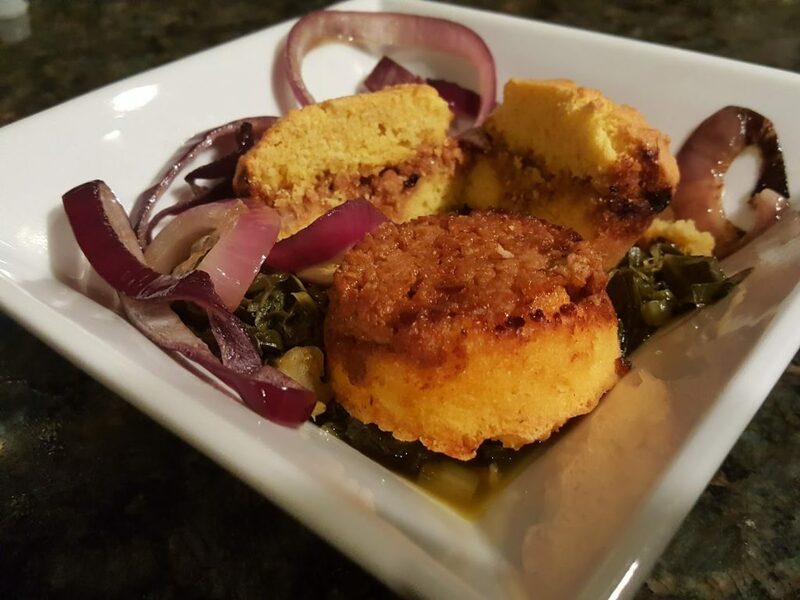 Growing up in the South, cornbread and BBQ are almost a staple. Especially in Oklahoma! We could eat BBQ every day of the week I think, in various forms of course! Southern BBQ Bites are a quick, simple and delicious meal. They would be perfect for a game night as well! Since they can be eaten by hand, they won’t slow your board games a bit! New Game Night Food, here we come! There are two ways to make this recipe, both are below. You can also make it dairy free if you’d like. The Zoo has lactose allergies, so I’m learning to make food without my delicious Braum’s Milk! You may also notice there is no salt in this dish. Feel free to add 1/2-3/4 tsp of salt to the cornbread mix if you’re a fan of salty! We try to make things as healthy as possible, so we don’t always cook with it. I highly recommend you try it without salt, you may be surprised at how much you like it! Be sure to check below the recipe for Optional Additions, Toppings, Side Dish & Dessert suggestions! We’d love to hear what you fixed with them in the comments as well! If you’d rather, you can mix up our cornbread ready mix and use that instead of having to measure everything out all the time! This recipe makes 12-16 servings, depending on how thick you make them! Cook ground meat and drain. Add BBQ sauce, saute the sauce down so that it’s not runny. You can add water and saute it down again if it gets too dry! The water just adds moisture, it won’t change the flavor! Preheat oven to 375 degrees. Grease muffin pan and set aside. In medium bowl, whisk together flour, cornmeal, sugar, baking powder, baking soda (and salt if you are adding it). In another bowl, whisk together the milk, melted butter, and egg. Pour the liquid all at once into the flour mixture, stirring quickly and gently until just combined. Spoon 1 TBSP of batter into muffin pan. Place desired amount of BBQ mixture into pan. Then spoon another 1 TBSP on top of meat mixture. Spoon 2 Tbsp or so into muffin pan. Spoon desired amount of BBQ mixture on top. Bake for 15-20 minutes until muffins begin to pull away from the sides of the pan. Feel free to leave more suggestions in the comments!